The beautiful luxury bedrooms in our historic victorian hotel are ensuite, comfortable, well-appointed and have an allocated parking space. They enjoy fine coastal views or moorland views. Tastefully furnished ensuite double room including breakfast and parking. Rooms are equipped with hairdryer, tea-making facilities and selected toiletries as well as the Victoria Welcome Pack. 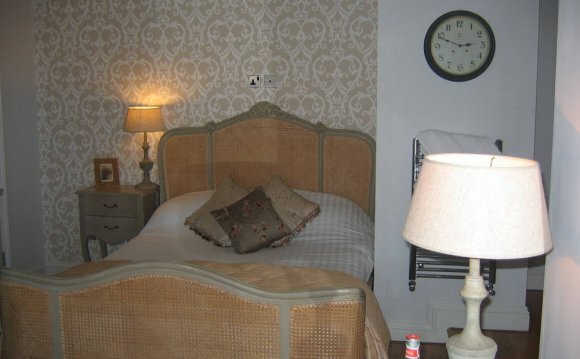 Tastefully furnished double and twin room overlooking the beautiful North Yorkshire Moors fully equipped with hairdryer, tea-making facilities, and selected toiletries as well as the Victoria Welcome Pack. Includes breakfast and parking within the room rate. Large individually furnished rooms boasting views to die for overlooking the bay with panoramic sea views fully equipped with hairdryer, tea-making facilities and selected toiletries as well as the Victoria Hotel Welcome Pack. Breakfast and parking included with the room rate. Premier rooms boasting arguably the best sea view on the East Coast with full unobstructed views out to sea. Fully equipped rooms with all the above; also premier toiletries and thick bathrobes and slippers included. Breakfast and parking are included in the room rate. Why not take advantage of our service of; Champagne or Flowers awaiting you in your room (at a supplement). Booking into our Sea View Restaurant is also advisable to avoid disappointment. 2 night minimum bookings on weekends, 50 deposit per night is needed. Deposit is none refundable. If you are wishing to cancel your booking, you are liable for the first nights full cost if you do not cancel 24 hours before scheduled arrival which is 14:00. Please use the menu system on the image below or use your mouse and cursor to move the image to the position you require. We have the most magnificent views on the North Yorkshire Coast. Located at picturesque Robin Hood's Bay near Whitby on the North Yorkshire Heritage Coast, we offer excellent hotel accommodation, bed and breakfast accommodation and holiday accommodation throughout all seasons. We have a lovely panoramic Sea View Restaurant, Bay View Coffee Shop & Tearoom and Yorkshire Bar serving bar meals. Our historic hotel is an ideal venue for weddings, wedding receptions, private parties and corporate functions. We are an ideal base for exploring the treasures of the North York Moors National Park and places such as Scarborough, Runswick Bay and Staithes along the coastline, as well as nearby Goathland, Heartbeat Country, Captain Cook Country and Herriot Country.